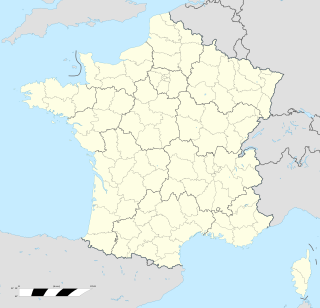 Marainville-sur-Madon is a commune in the Vosges department in Grand Est in northeastern France. 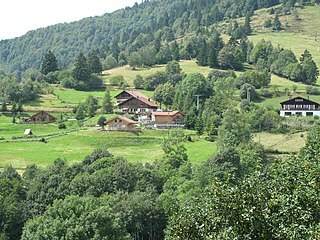 Ambacourt is a commune in the Vosges department in Grand Est in northeastern France. Michał Jan Pac (1730–1787) was a Polish-Lithuanian nobleman, Lithuanian Marshal of the Bar Confederation from 1769 until 1772, Chamberlain of King Augustus. Jan Dekert or Jan Dekiert was a Polish merchant of German descent and political activist. Starting in the 1760s, he rose to become one of the most prominent merchants in the Polish capital of Warsaw. He was an activist arguing for more rights for the burghers in the Polish-Lithuanian Commonwealth while opposing Jewish merchants. As the representative of Warsaw, he was elected a deputy to the Sejms of 1784 and 1786, as well as to the Great Sejm (1788–1792). He was the mayor of Warsaw (1789–1790), during which period he organized the Black Procession on 2 December 1789. This was a major step towards the passing of the Free Royal Cities Act enfranchising burghers, as one of the reforms of the Great Sejm and part of the Constitution of the 3rd May, 1791. The Church of the Holy Cross is a Roman Catholic house of worship in Warsaw, Poland. Located on Krakowskie Przedmieście opposite the main Warsaw University campus, it is one of the most notable Baroque churches in Poland's capital. Krakowskie Przedmieście is one of the best known and most prestigious streets of Poland's capital Warsaw, surrounded by historic palaces, churches and manor-houses. Krakowskie Przedmieście Royal Avenue constitutes the northernmost part of Warsaw's Royal Route, and links the Old Town and Royal Castle with some of the most notable institutions in Warsaw, including – proceeding southward – the Presidential Palace, Warsaw University, and the Polish Academy of Sciences headquartered in the Staszic Palace. The immediate southward extension of Krakowskie Przedmieście along the Royal Route is ulica Nowy Świat. The year 1792 saw the Second Partition of Poland, and the tobacco factory was closed down. From 1792-1794, he resided in Szafarnia (Dobrzyń county) with Jan Dziewanowski as tutor and teacher to his son Jan Nepomucen Dziewanowski,  , who later became the godfather to Nicolas' daughter, Ludwika  . During the 1794 outbreak of the Kościuszko Uprising, Nicolas joined the Warsaw municipal militia, rising to the rank of lieutenant. After a year he was wounded, just as the uprising was collapsing. Nicolas Chopin died of tuberculosis in Warsaw on 3 May 1844, aged seventy-three. He is interred with his wife at Powązki Cemetery. 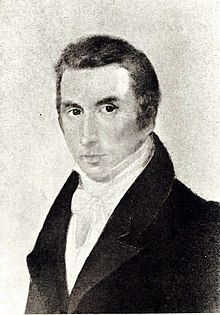 Nicolas Chopin was, according to Wincenty Łopaciński, a man of great intelligence and culture, universally esteemed, a model teacher, and solicitous of his brilliant son Frédéric. Though he had come from a foreign country, with time he became completely Polonized and "undoubtedly considered himself a Pole." 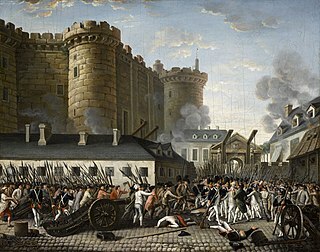 This was borne out by his willingness to fight for Poland's independence in the Kościuszko Uprising, after he had earlier refused to return to revolutionary France for fear of being conscripted into the French army. 1 2 3 4 5 6 7 Łopaciński, "Chopin, Mikołaj," p. 426. 1 2 Wróblewska-Straus, Hanna. "Nicolas Chopin". Korespondencja Fryderyka Chopina, Vol. I, p. 571. 1 2 Wróblewska-Straus, Hanna. "Nicolas Chopin". Korespondencja Fryderyka Chopina, Vol. I, p. 572. ↑ Institute, The Fryderyk Chopin. "Fryderyk Chopin - Information Centre - Mikołaj Chopin - Biography". en.chopin.nifc.pl. Retrieved 3 August 2018. ↑ Institute, The Fryderyk Chopin. 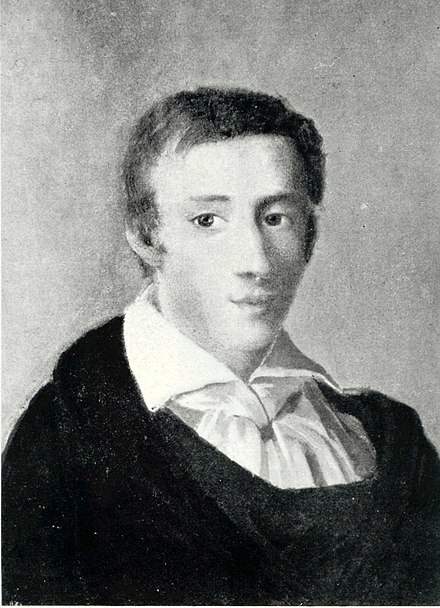 "Fryderyk Chopin - Information Centre - Jan Nepomucen Dziewanowski - Biography". en.chopin.nifc.pl. Retrieved 3 August 2018. ↑ Jarosław Krawczyk, "Wielkie odkrycia ludzkości" ("Mankind's Great Discoveries"),Rzeczpospolita, vol. 17, 12 June 2008. ↑ "Archived copy". Archived from the original on 4 October 2006. Retrieved 29 March 2008. CS1 maint: Archived copy as title (link) Catalog of Polish paintings lost in World War II. Powązki Cemetery, also known as the Stare Powązki is a historic cemetery located in the Wola district, western part of Warsaw, Poland. It is the most famous cemetery in the city, and one of the oldest, having been established in 1790. The necropolis features graves of many illustrious individuals from Polish history, including those interred along the "Avenue of Notables" created in 1925. It is estimated that over 1 million people have been buried at Powązki. Maria Krystyna Janina Skarbek, OBE, GM, Croix de guerre, also known as Christine Granville, was a Polish agent of the British Special Operations Executive (SOE) during the Second World War. She became celebrated especially for her daring exploits in intelligence and irregular-warfare missions in Nazi-occupied Poland and France. The International Chopin Piano Competition, often referred to as the Chopin Competition, is a piano competition held in Warsaw, Poland. It was initiated in 1927 and has been held every five years since 1955. It is one of the few competitions devoted entirely to the works of a single composer, in this case, Frédéric Chopin. Julian Fontana was a Polish pianist, composer, lawyer, author, translator, and entrepreneur, best remembered as a close friend and musical executor of Polish composer Frédéric Chopin. Chopin: Desire for Love is a film created by the director Jerzy Antczak based on the life story of the Polish pianist and composer Frédéric Chopin. Ostrogski Palace, or Ostrogski Castle, is a mansion in the city center of Warsaw, on ulica Tamka. Jozéf Turczyński was a Polish pianist, pedagogue and musicologist who exercised a powerful influence over the development of piano teaching and performance, especially in the works of Frédéric Chopin, during the first half of the 20th century. He was in a large part responsible for a performing edition of the Complete Pianoforte Works of Chopin which is still considered definitive. Ambroży Mieroszewski (1802–1884) was a Polish painter who was Frédéric Chopin's first known portraitist. The Fryderyk Chopin Museum is a museum in Warsaw, Poland, established in 1954 and dedicated to Polish composer Frédéric Chopin. The Birthplace of Frédéric Chopin is a "dworek" surrounded by a large natural park at the banks of Utrata River in Żelazowa Wola near Sochaczew in Poland – presently museum of the composer, department of the Fryderyk Chopin Museum in Warsaw. Jean ("Jane") Wilhelmina Stirling was a Scottish amateur pianist who is best known as a student and later friend of Frédéric Chopin whose two nocturnes are dedicated to her. She took him on a tour of England and Scotland in 1848, and took charge of the disposal of his effects and manuscripts after his death in 1849. While there is no evidence they were lovers, she was often referred to, after Chopin's death, as "Chopin's widow". Ludwika Jędrzejewicz was the elder sister of Polish composer Frédéric Chopin. Ludwika was born in Warsaw, Poland, in 1807, the daughter of Nicolas Chopin and his wife Justyna. Fryderyk Florian Skarbek, a member of the Polish nobility, was an economist, novelist, historian, social activist, administrator, politician, and penologist who designed the Pawiak Prison of World War II ill fame. The Chopin Family Parlor was a branch of the Fryderyk Chopin Museum. It was located in the south annex of the Czapski Palace at 5 Krakowskie Przedmieście in Warsaw, Poland. It was the largest room of the former Chopin family apartment where Frédéric Chopin lived with his parents and sisters until he left Poland in 1830. The following is a compilation of memorials to the composer Frédéric Chopin in the form of physical monuments and institutions and other entities named after him. Dominik Dziewanowski was a Polish military officer, a general in the Army of the Duchy of Warsaw. Wincenty Łopaciński, "Chopin, Mikołaj," Polski słownik biograficzny , vol. III, Kraków, Polska Akademia Umiejętnosści, 1937, pp. 426–27.